Referring to a music group which consists of band members that are already successful and famous from previous projects, a supergroup embodies in a pointedly way the iconic and individualistic spirit inherent in Western rock and pop culture. Akin to his ongoing interest in American high and low culture, Prince integrates elements of and references to music culture in the works exhibited [exhibition: Super Group, Galerie Max Hetzler, Berlin, 2017]. Playing with the sense and texture of collage, painting and printing, these recent canvases include actual or scanned and printed record sleeves, stapled and glued onto the surface as well as photos, posters, magazine covers, some even contain real bras along with images of such. Paint and oil stick are seemingly rapidly applied, covering parts of the collaged surface and canvas while leaving others empty so that the underlying plane stays visible, creating an impression of depth through overlapping layers. Throughout these paintings, Prince refers to his own earlier work. 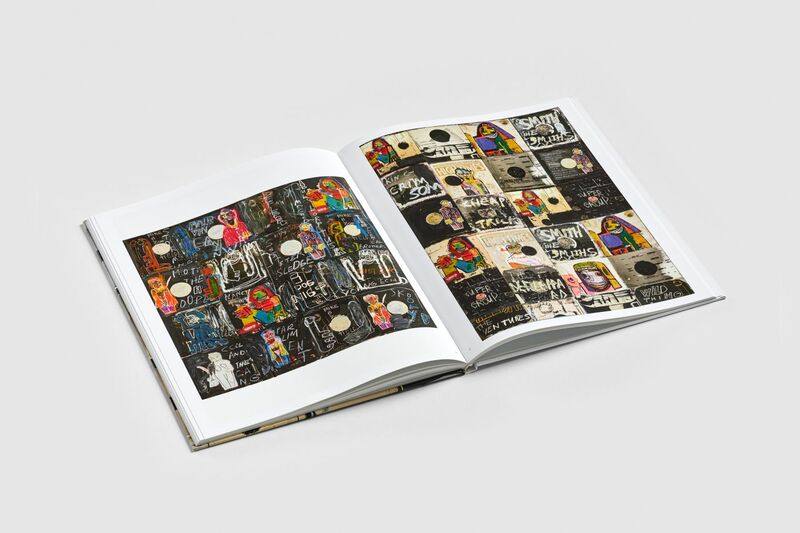 Single figures from his Hippie Drawings, a series created in the early 2000s, re-appear in many of the new paintings, often printed on canvas, cut out and attached to the surface, at times also painted, alongside scribbled names of famous bands and singers, song titles and lyrics can be found. Elements such as rubber bands, DVD and CD labels that form important means of some of Prince's previous series clearly make reference to his artistic practice. 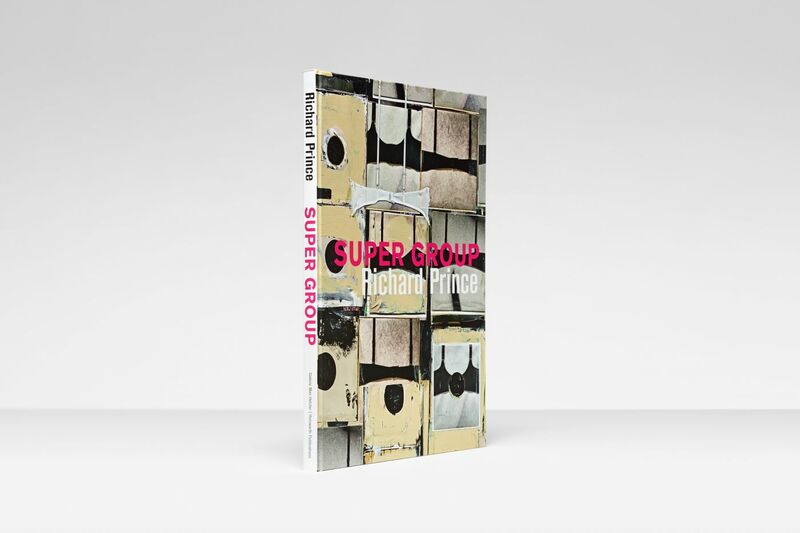 "Super Group is the first of three bodies of work. They go together. Have something in common. Themes. Stories. What I know. What I like. What I like to know. What I want to know. Knows and looks that have to do with music and counter culture. The second body is The Ripple Paintings. The third is High Times. In 2011 I was checking out my collection of Sonic Youth albums. I pulled out the records and removed the records from the sleeves. There were nine sleeves. I laid out the sleeves in a grid, three on top of three on top of three. Another square. I looked at it and called it Nine Sonic Youths. That excited me. The name, the title connected the abstraction and made it less abstract. It looked like art. Supergroup is what I needed. And sometimes what you need is all you need. I’d been working with sleeves on and off for four years, they weren’t right, they weren’t finished. They didn’t have extra extra. They had a verse and bridge but they didn’t have a hook. Super Group became the hook. Sum, total, whole. I can stack Roy Orbison, Chuck D, Bill Evans, Patsy Cline, The Pretenders, and Lee Renaldo on one sleeve. The whole sleeve can be a hit."